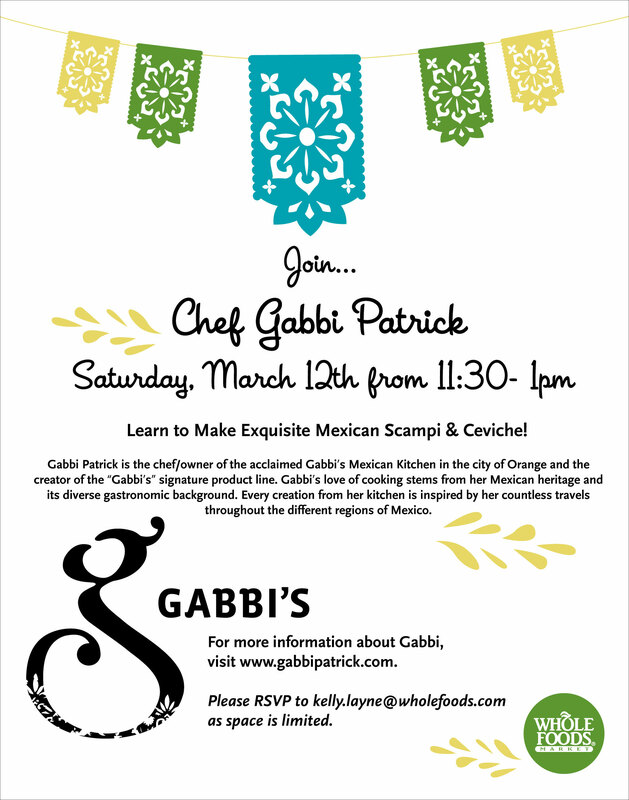 Just found out that two of the best Mexican chefs in the county, Deborah Schneider of Sol Cocina and Gabbi Patrick of Gabbi's Mexican Kitchen, will be doing cooking classes or demos this coming Saturday and Tuesday. SOL COCINA CHEF DEBORAH SCHNEIDER SHOWS NEWPORT BEACH "WHAT'S COOKING AT THE LIBRARY"
NEWPORT BEACH, CA (MARCH 2011) – Chef Deborah Schneider of SOL Cocina in Newport Beach will share some of her secrets for creating authentic Mexican cuisine at "What's Cooking at the Library" on Tuesday, March 15th at 7 p.m. at the Newport Beach Central Library (1000 Avocado Avenue in Newport Beach). The cost of the class is $20 per person and guests may register online at www.newportbeachlibrary.org. The menu for the evening includes SOL House Margaritas, Pico de Gallo, Naked Guacamole, Avocado Caesar Salad, Chicken & Cheese Enchiladas, Salsa Ahogada and Warm Chocolate-Banana Bread Pudding with Cinnamon Crème Anglaise. In addition to enjoying a talk and demonstration of the menu items, guests will have the opportunity to purchase complete recipes in her most recent cookbook, the SOL-inspried Amor y Tacos. 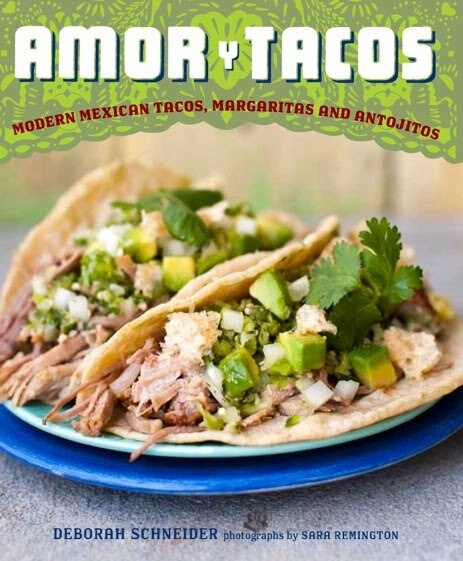 Chef Deb will be able to sign the copies of Amor y Tacos, which puts an exciting spin on modern Mexican food and cocktails. To register for the event, the public may pick up a "What's Cooking" Registration Form at any of the Newport Beach Public Library locations or register online at www.newportbeachlibrary.org or the City's Recreation Class sign-up under Library Programs at www.newportbeachca.gov. The "What's Cooking at the Library" series offers food lovers the unique opportunity to participate in an up-close cooking experience with some of Orange County's most talented culinary masters at an affordable price. Many top chefs in the Newport Beach area have participated since the series began in 2010. For more information, call (949) 717-3800, extension 2 or visit the website at www.newportbeachlibrary.org. 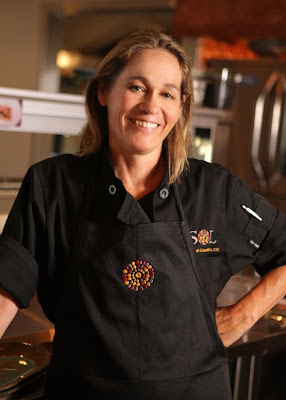 Executive Chef/Partner of SOL Cocina in Newport Beach, Deborah Schneider has introduced a fresh and different approach to Mexican cuisine, gathering inspiration from taco bars and roadside stalls in Baja and street-side trucks in Tijuana. In Orange County, she has revamped traditional Mexican flavors, delivering fresh, new ways to "do" Mexican in an upscale/fine-dining setting. Dubbed by Bon Appetit Magazine, "The reigning queen of San Diego chefs," Chef Schneider is a published author of four cookbooks, including SOL-inspired Amor y Tacos (Stewart, Tabori & Chang), award-winning Baja! Cooking on the Edge (Rodale) and Cooking with the Seasons at Rancho La Puerta (STC), which was nominated for a 2009 James Beard Award. Chef Deborah Schneider began her culinary career in the early 1980s, while living in Athens, Greece, where she worked as a chef on a succession of luxury charter yachts and later, as a yacht chef in Florida and the Caribbean. In 1983, Schneider settled in San Diego, where she made a culinary name for herself as the creative force behind the area's best-known restaurants and hotels, including the acclaimed Jsix/Jbar, Hilton Torrey Pines, Dobson's, Grant Grill and La Gran Tapa. Schneider received her Certified Executive Chef ranking in 2001 from the American Culinary Federation. In mid-2009, Schneider, with two Partners, opened her own restaurant, SOL Cocina, where she currently serves as Executive Chef. Chef Deborah Schneider's first cookbook, ¡Baja! Cooking on the Edge, was published in Spring of 2006 and chosen one of "The Best of the Best" of 2006 by Food & Wine Magazine. Through her restaurant work and writings, Deborah Schneider was an early advocate of the local farm-to-table movement and in supporting sustainable fisheries in California and Baja. Her second book, Cooking with the Seasons at Rancho La Puerta: Recipes from the World Famous Spa, published in September 2008, was nominated for a James Beard Foundation Award. This gorgeous cookbook celebrates the organic gardens and cooking school of Rancho La Puerta, one of the world's most famous fitness resorts, where Schneider is a frequent guest teacher. Chef Schneider's third book, which she co-authored, is Williams-Sonoma's Essentials of Latin Cooking, published in 2010. Her SOL-inspired fourth book, Amor y Tacos, debuted in early 2010 as a fresh and different approach to Mexican cuisine, gathering inspiration from taco bars and roadside stalls in Baja and street-side trucks in Tijuana. The book shakes up and revamps traditional Mexican flavors, delivering fresh, new ways to "do" Mexican. The recipes are quick and easy-to-make and, in addition to tacos, include antojitos (the "little bites" that are Mexico's variation on tapas), salsas, tequila and mescal-based cocktails, and the amazingly thirst-quenching fruit drinks called aguas frescas. SOL Cocina is a unique restaurant and bar celebrating traditional Baja cuisine with a fresh, modern interpretation. Designed to echo the expansive sea, sky, and desert of the Baja peninsula, SOL features old world charm juxtaposed with an urban comfort, including an open exhibition kitchen with counter seating for guests who like to see the bustling kitchen that mimics the Baja taco bar. SOL offers a decadent menu of the freshest seasonal ingredients and authentic Mexican flavors, along with a vibrant bar that honors the flavors of the Baja region with artisan tequilas and mezcals. Located at 251 E. Pacific Coast Highway at Bayside Drive, on the Balboa Marina, SOL is open daily for Lunch (11:30 a.m. – 4:30 p.m.; TOUR de SOL tasting menu offered Mon-Fri 11:30 a.m. – 3 p.m.), Dinner (Sun-Wed 4:30 p.m. – 10 p.m.; Thurs-Sat 4:30 p.m. – 11 p.m.), Happy Hour (4 p.m. – 7 p.m. daily in the bar and patio), Late-Night Dining (11 p.m. – 1 a.m. Thurs-Sat), and Weekend Brunch (10 a.m. – 3 p.m. Saturday & Sunday). In addition, guests may take advantage of Taco & Tequila Tuesday specials every week (Tues 4 p.m. – 10 p.m.), and Industry Hours with 50% off cocktails, beer and wine to those with proper ID working in the hospitality industry (Sun-Weds 9 p.m.-midnight; Thurs-Sat 11 p.m.-close). Private Room available. For more information, call 949-675-9800 or visit http://www.solcocina.com/. Click flyer image to view larger. Read Gabbi's blog entry here.